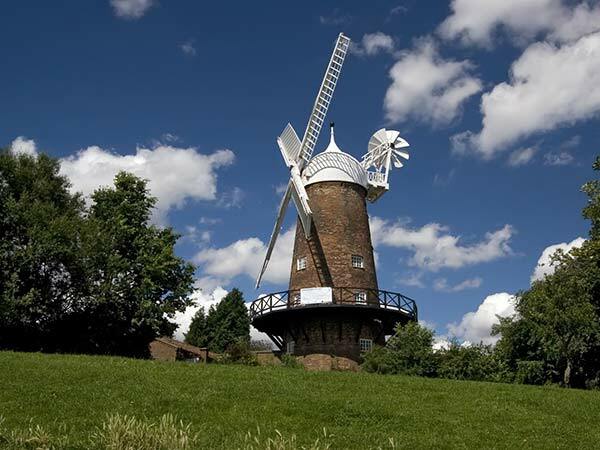 Green’s Windmill in Nottingham is named after the mathematician George Green, as this was his childhood home. 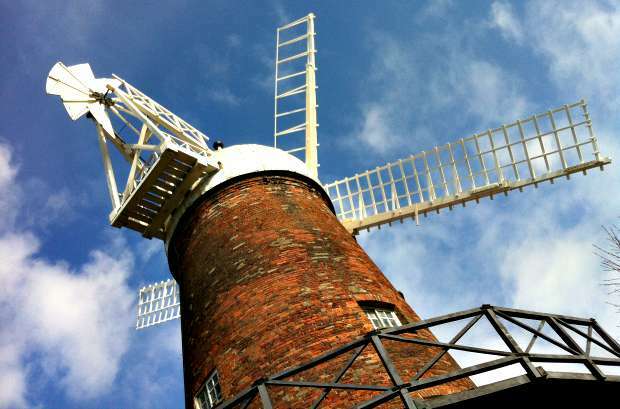 Over the years the windmill has been restored and the sails can now often be seen turning. They even have a gadget inside to turn the sails for effect when it isn’t windy enough! When you visit the site, there’s not just the working windmill to see but also an attached science centre and the whole thing is free. Green’s Windmill employs a number of millers and when you visit you’re likely to see flour in production. 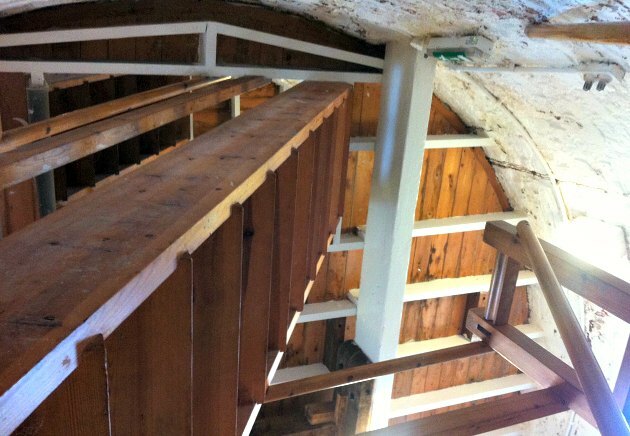 Inside the mill, your journey starts at the bottom where the main machinery is located, but as you climb the narrow ladders you see the other parts of the mill. Grain actually starts its journey at the top and works its way down to become flour. The giant mill stone is a wonder to see on the upper floor. While you’re there, take a look out of the small windows for a lovely view over Nottingham. Green’s The Windmill is open Wednesday to Sunday from 10am to 4pm. To walk to Green’s Windmill from the city centre, take Smithy Row by the Council House on to Pelham Street. This turns into Carlton Street as you reach the tram lines. Keep going down the hill into Goose Gate and then across the A60 and round the back of the National Ice Centre. Walk a short way down Lower Parliament Street and take a left into Southwell Road, then turn right down Sneinton Road and follow this until Windmill Lane. At this point you can walk up Windmill Lane or walk through the small Green Park to get to the Windmill. We did this with two kids in tow and it took around 20 minutes from the city centre.